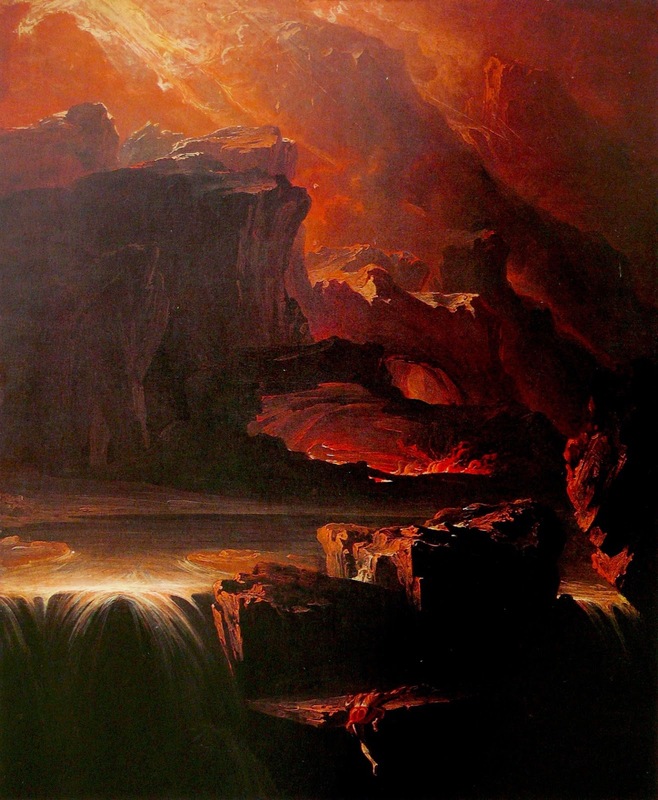 I saw this great (1812) painting by British Romanticist John Martin, entitled Sadak in Search of the Waters of Oblivion, when I was at the Saint Louis Art Museum (SLAM!) a few weeks ago. Sadak, who you can see clinging for dear life to the rock at the bottom of the painting, is a fictional character from a 1764 book by James Ridley, Two Tales of the Genii. Ridley published under the name 'Sir Charles Morell' and pretended to have translated the tale from Persian, although actually wrote it himself in English. It's good to see the painting at full scale. It's big and impressive, about 185 x 130 cm. The Saint Louis Art Museum store sells a t-shirt with just the detail of Sadak clinging to the rock, which I bought and am wearing as I write. 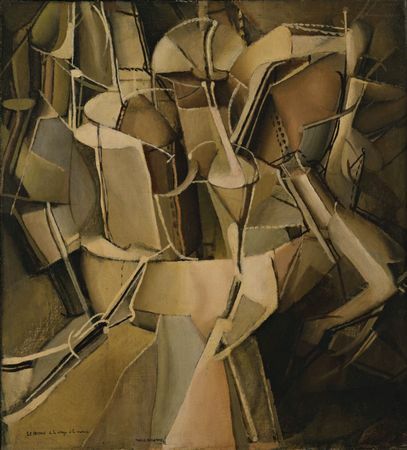 Duchamp's (1912) painting The Passage from Virgin to Bride (now at the MOMA in NYC) was one of his last paintings, the kind of art he would come to deride as 'retinal art'. I love Massin's typographic version of French-Romanian playwright Eugene Ionesco's amusing and absurd play The Bald Soprano. Following on from Jaap Blonk's recital of German Dadaist Kurt Schwitters' nonsense poem Ursonate (and as kind of a pop-culture equivalent), I really enjoy this take by Italian singer/comedian Adriano Celentano on what American English sounds like. I appreciate Dutch performer Jaap Blonk's technologically-enhanced performance from memory of German Dadaist Kurt Schwitters' nonsense poem Ursonate, which Schwitters developed over many years starting in 1925. 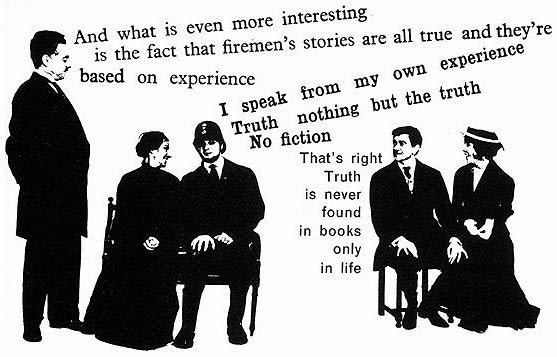 "His unfinished studies in physics, mathematics and musicology mainly created a penchant for activities in the Dada vein, as did several unsuccessful jobs in offices and other well organised [sic] systems."